Yellowed and grease-stained, a collection of OPPD holiday cookbooks at an Omaha estate sale were well-used. The colorful covers of the cookbooks reflect the past. Among the recipes in a Holiday Recipes 1978 issue: three-vegetable casserole, cheese potatoes, prize-winning broccoli casserole, frozen lime mint salad and lazy sugar cookies. In 1959, OPPD’s Home Service Department produced the first holiday recipe cookbook. It quickly became a collector’s item. Due to its popularity, the department produced a cookbook each year until 1980. 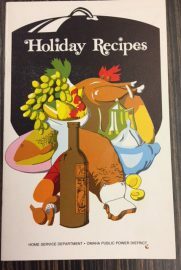 From 1986 through 1989, OPPD’s Consumer Education Department produced the holiday cookbook. 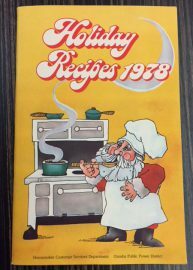 A final commemorative cookbook was issued in 1991, titled “Holiday Recipes through the Years.” The issue included staff favorites from past cookbooks. The Home Service staff, followed by the Consumer Education group, were a valuable resource in their day. They not only provided recipes, but also taught customers how to use electric appliances that were coming to the marketplace. “We always kept up with the times, or were ahead of them,” said former Home Service advisor Bette Montage in a 1996 history account in Flash, OPPD’s employee magazine. For example, when the microwave oven debuted, the department was first to develop recipes for the appliance and offer tips. 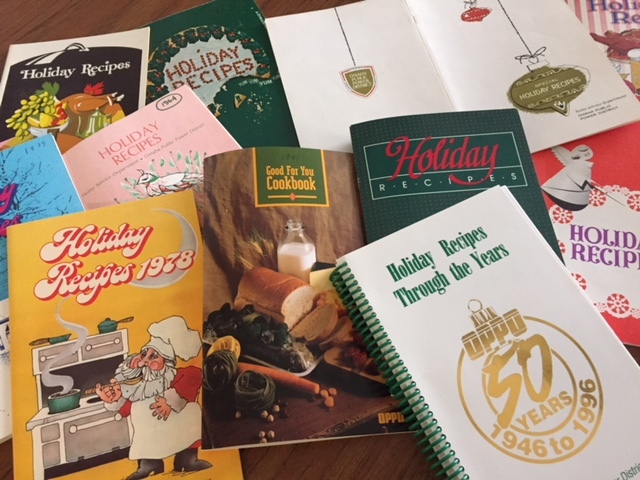 The department fielded thousands of cooking and home-related questions, and their holiday cookbooks had a long, long shelf life. Thank you, Sandy. I knew both your mom and Betty Montag, as well as a few of the other Home Services women. They were wonderful ambassadors for OPPD. Take care! This article also warmed my heart as it brings back such good memories. I, too, have all of the holiday cookbooks. I still refer to them! I so remember Betty Jo Shaw and Mrs. Montag as they conducted cooking classes at the downtown OPPD office. So many yrs ago I was a young mother and I would pack a sack lunch for my 4 yrs. old and off we’d go to the classes. I loved going there and learned so much from these great teachers. Occasionally, we’d win one of the items they made that day to take home with us. 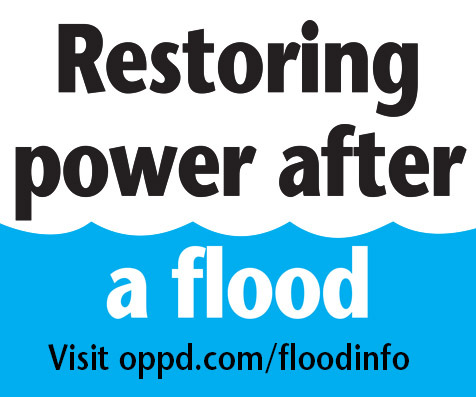 Thanks OPPD, they were good times and are stored in my memory bank! Is there an electronic database where some of these recipes are stored? Chris, Thank you for the note. Unfortunately, we do not have an electronic database. If you are not familiar with Pinterest, you should check it out. Pinterest.com is a great source of online recipes. I worked in the Home Service Department in the office area. It was great fun. Marion MacDonald and Bette Montag conducted the cooking schools. The cookbooks were very popular and I still have a whole set except they are old and yellow now after all this time. This was a free service that we provided. We were like family. Many fond memories.